Get ready for some serious fun with your little ripper exploring the neighbourhood or hitting the trails. 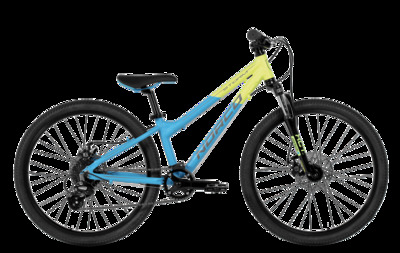 The Storm 4.1 boasts a lightweight aluminum frame and high quality components with a low standover height, sturdy 24" wheels and optional disc brakes. Featuring a Spinner Air 24” fork with 50mm of travel and air spring with lockout and aluminum steer tube. Precise, crisp shifting and responsive handling, the Storm 4.1 will help your little ripper get the most from their ride, every time.